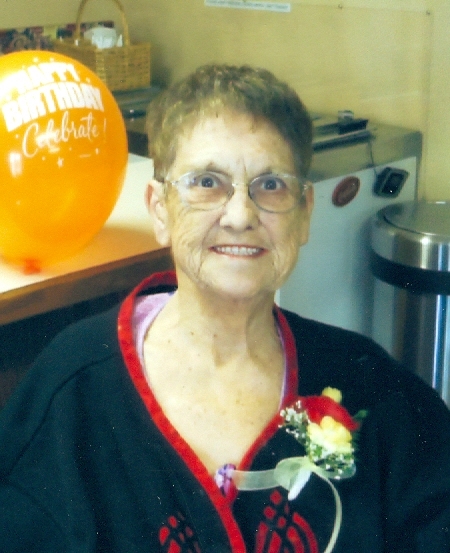 Council Grove - Barbara Marie Bruckner, of Delavan, passed away February 10, 2019 at Morris County Hospital in Council Grove, Kansas. She was born September 20, 1932 in San Diego, California, daughter of Marshall Leroy and Opal Anderson. She graduated in 1950 from Wilsey High School. Barbara married Bill on April 17, 1950 in Cottonwood Falls. They were happily married for 68 years. Barbara was a housewife until her children started school and then worked at Paragon Dress Factory as a seamstress until it burnt. Later she worked on the Election Board. She enjoyed crocheting, quilting, canning, gardening, word search puzzles, bingo, dancing and traveling with family and friends. She above all treasured her family and loved spending time with her grandchildren. Barbara is survived by her husband, Bill; brother Marshall (Mary) Anderson, Lebo, KS; children Roxie (Bud) Smithson, Delavan, KS, Eddie (Kathy) Bruckner, Skiatook, OK, Michelle (Don) Cartwright, Peculiar, MO, Corrine (Bob) Blosser, Council Grove, KS and Teresa Wilson, Topeka, KS; 14 grandchildren, 24 great grandchildren and 3 great-great grandchildren. She also leaves behind nieces, nephews, cousins and a host of friends. Barbara was preceded in death by her parents, son- in- law Radford Wilson, grandsons Zachery Wilson and Joey Cartwright. Visitation will be held at 10:00am, Wednesday, February 13, 2019, at Wilsey Christian Church. Funeral services will follow at 11:00am, with Pastor Clarence Sumner officiating. Interment will follow at Wilsey Cemetery. Memorial contributions may be made to Council Grove Relay for Life and sent in care of Zeiner Funeral Home, PO Box 273, Council Grove, KS 66846.